The Nordic Curl develops the eccentric hamstring strength needed for rapid deceleration and agility movements for all functional sports. The movement is also key to prevent hamstring injuries due to over use and underdevelopment. Unlike all GHD equipment, the is NO pain on the quadriceps using the Nordic Curl. The load curve is adaptable for everyone: useful for rehabilitation, beginners and advanced professional athletes. The Reverse GluteExtension is key for pushing power, overall stabilization and contour building. Also benefits lower back weaknesses to build and develop lower lumbar strength. The athlete cannot cheat this movement. No compression on the spinal column and still forces the posterior glute chain to be fully engaged. The lower back, glutes and hamstring muscles groups work as a system duplicating the movement in real life activity. Abdominal core strength is fundamental to all stabilization movements. The BOSU creates an unstable platform forcing positive engagement of all the adjacent muscle groups. Core strength is shown to prevent lower back injury and pain. Existing in-balance between the quad and hamstring muscles groups slow the stride. 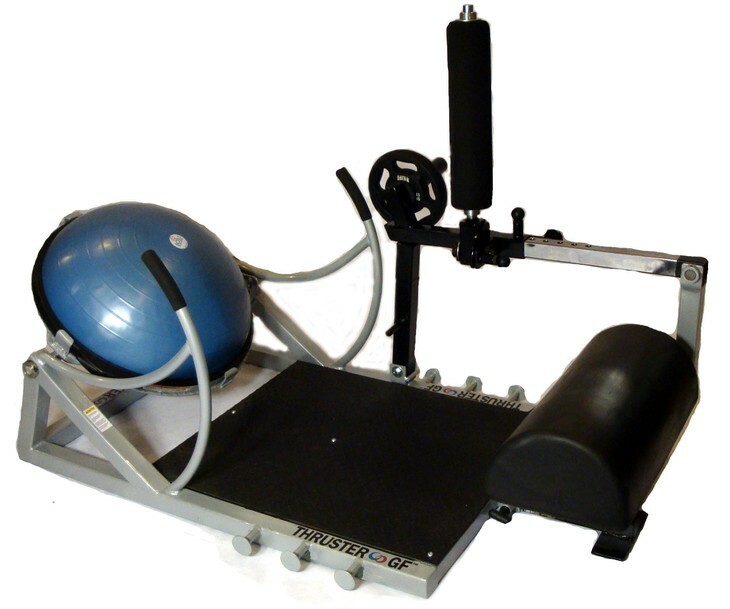 The unique eccentric movement of the Nordic Curl® builds the base of hamstring (long head of the bicep femoris). Also by using the Reverse Glute Extenstion™ adds to balancing the front and rear leg muscle groups for more even push/pull strength. Hamstring injuries occur in the eccentric phase of the movement, which is at the end of the swing gate of the stride. Being able to work the muscle in the same phase as when the injuries occur, helps prevent and strengthen the muscle most prone to injury. The BOSU creates instability to activate the core groups and adjacent muscles groups essential for agility movements.